I put this article in the "advanced technique" section, even though it should strictly speaking be in the basic technique section. 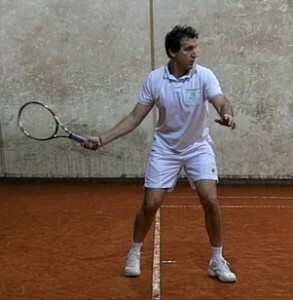 It is a fundamental phase of the forehand, but I thought to put it in this section because beginners already have a lot to worry them. This step can often be too confusing for beginners.